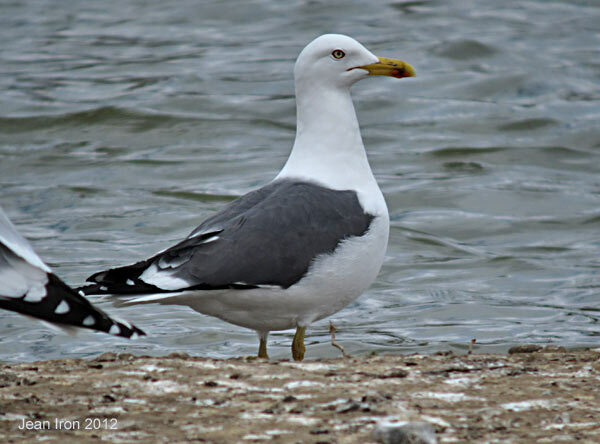 Water retention ponds on Ira Needles Blvd are proving to be excellent for gulls. There is a large dump nearby. 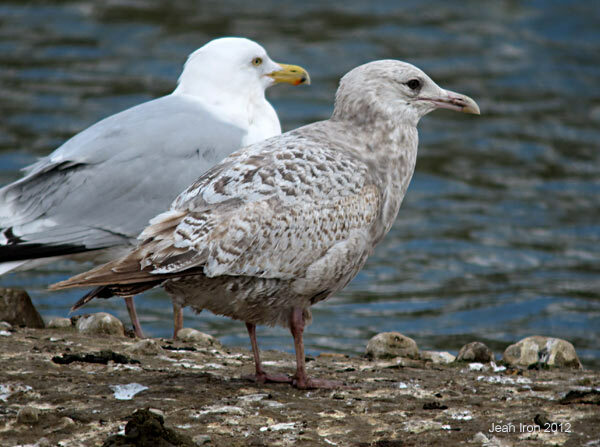 Arctic gulls were still around in April 2012. 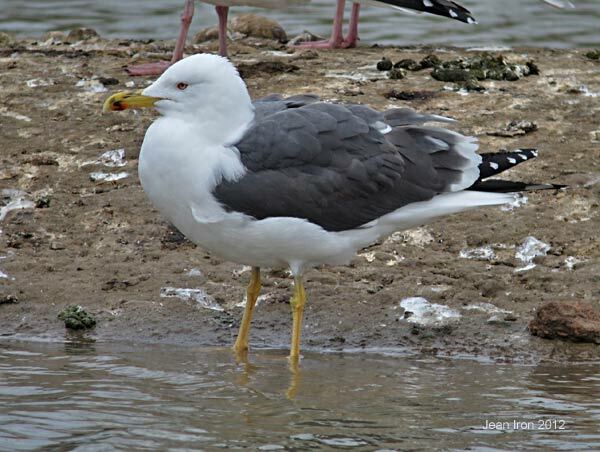 Adult Lesser Black-backed Gull in breeding plumage with white head on 10 April 2012. Red orbital ring on Lesser Black-backed in breeding plumage on 10 April 2012. 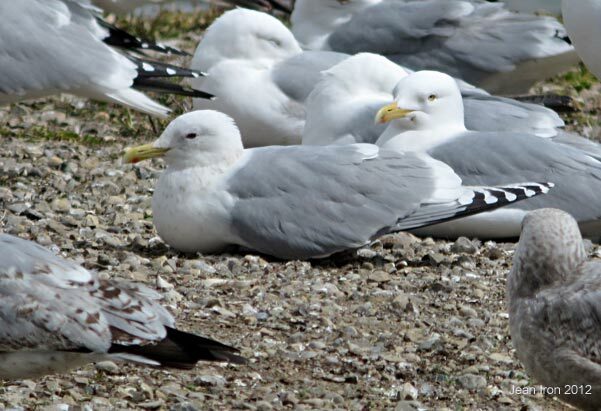 A different adult Lesser Black-backed on 11 April 2012. 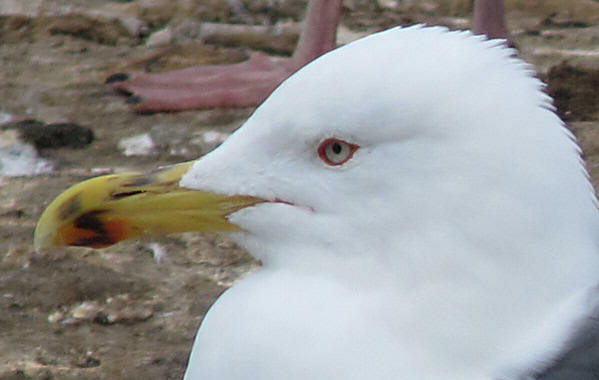 Front: First cycle Glaucous Gull aged by dark eye and bicoloured bill with black bill tip. 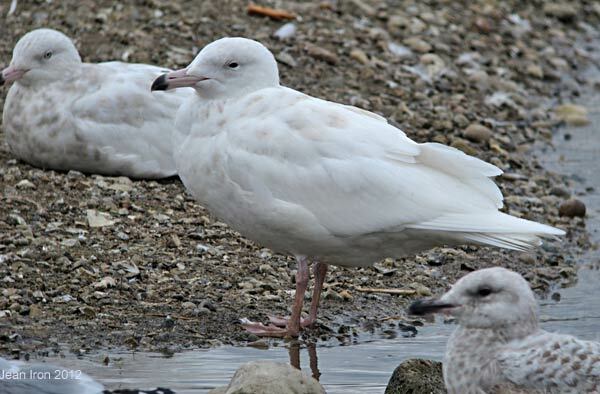 Some birds late in their first cycle bleach, wear and molt very white like this individual, lacking any juvenile plumage pattern. 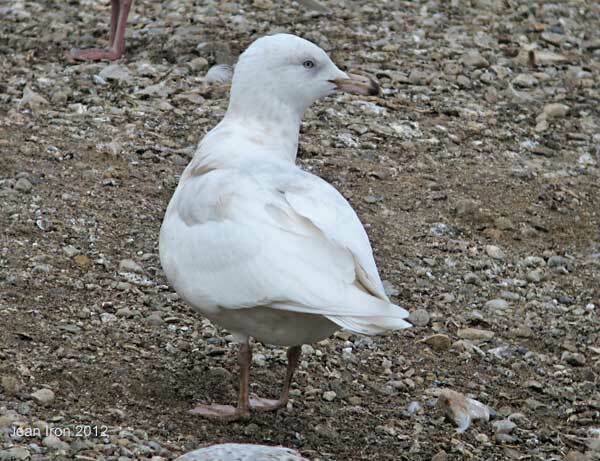 The back Glaucous is a second winter aged by its pale eye. See photo below. 10 April 2011. 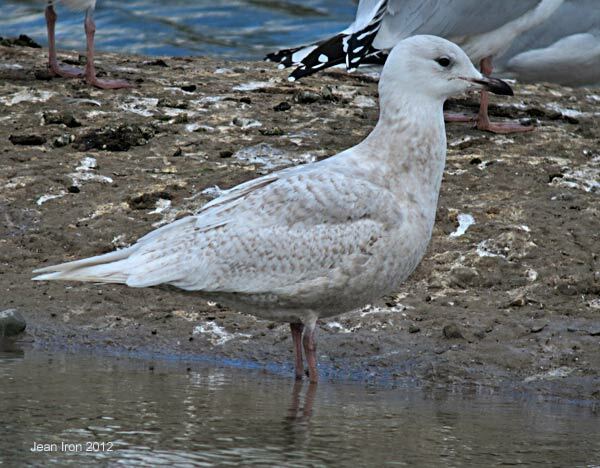 Second cycle Glaucous Gull aged by its pale eye, distinct pale tip to the black on the tip of the bill and a few pale grey feathers on back. 10 April 2012. Thayer's Gull by its dark wingtips, dark eye, mantle shade same as Herring and darker than Kumlien's, pink legs (it stood up). 10 April 2012. Gull with a strange pale bill also had brown washed-out looking primaries. 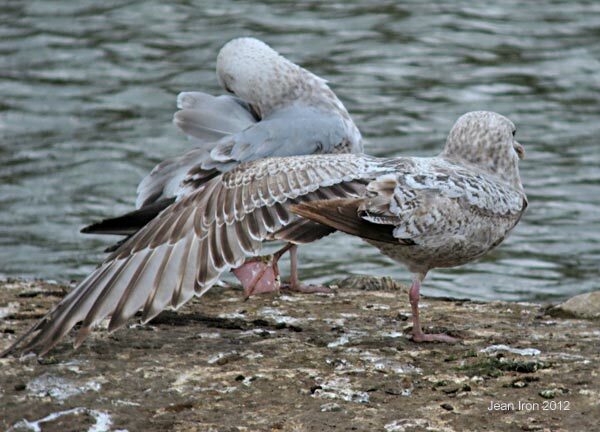 See spread wing in next photo. 11 April 2012. The inner webs of the primaries are pale - interesting. Same gull as previous. 11 April 2012.